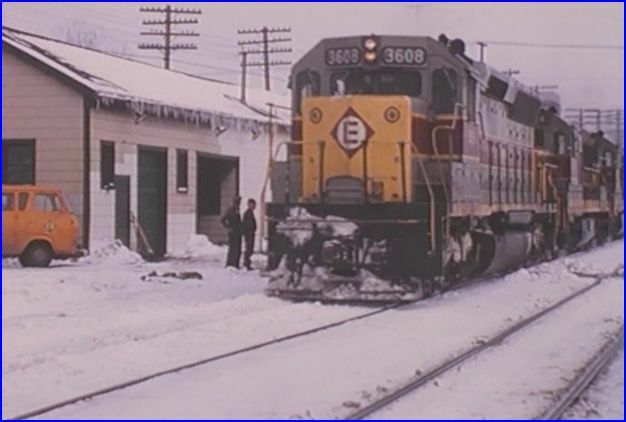 Erie Lackawanna was an early, large railroad merger, in 1960. The visits to Marion, outline some of the changes within the timeframe. 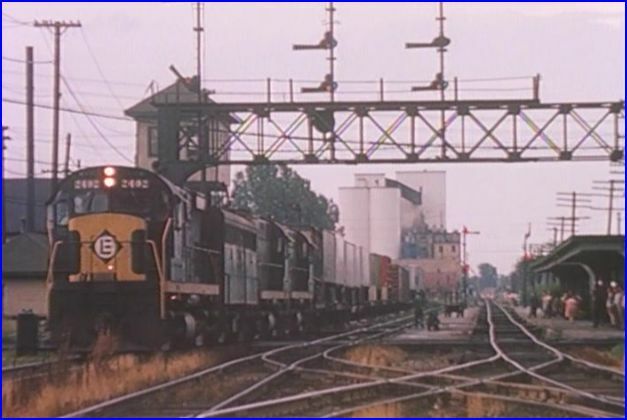 The signals are changed from semaphore blades to targets. The location provides a centerpiece to the EL story. 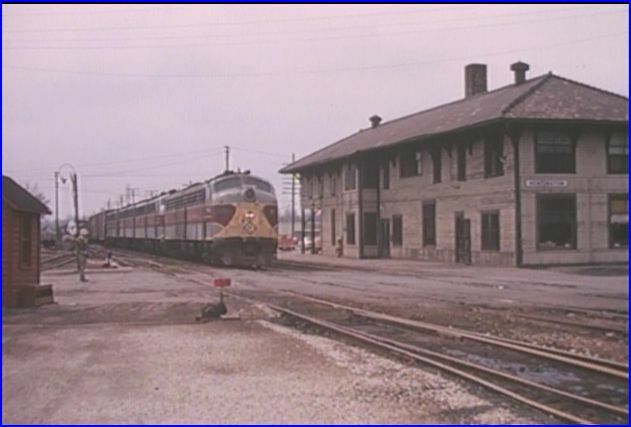 Right away, we see pre-merger paint on Erie and the gray Lackawanna paint. We update, into the classic EL paint. Griffith, IN. is another busy crossing. Grand Trunk and EJ&E trains add interest. The Worlds Fair , aka the Lake Cities passes by, and much more. Fine segment. C&O, New York Central, Pennsylvania.. later as Penn Central, and Norfolk & Western are the other connecting roads, that are seen. 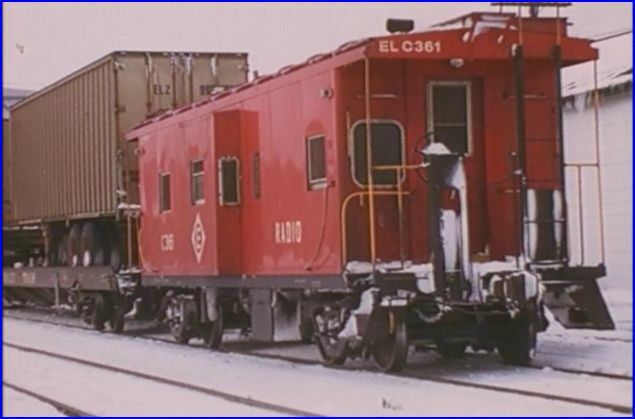 EL has a fine selection of locomotives from Alco: C425, FA-1, PA-1, RS3 types . 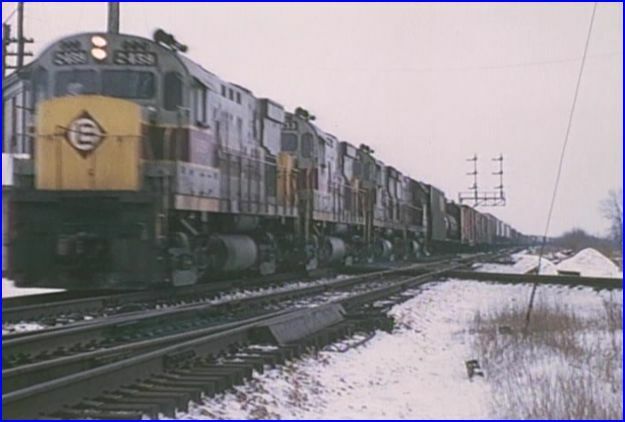 Electromotive has F7, F3, GP35, SD45, SDP45, GP9, E8 units. GE has the U25B, U33C. The states of: Ohio, Indiana, New York and Pennsylvania , are on our tour of the EL. Starrucca Viaduct and Tunkhannock Viaduct are spectacular sights. 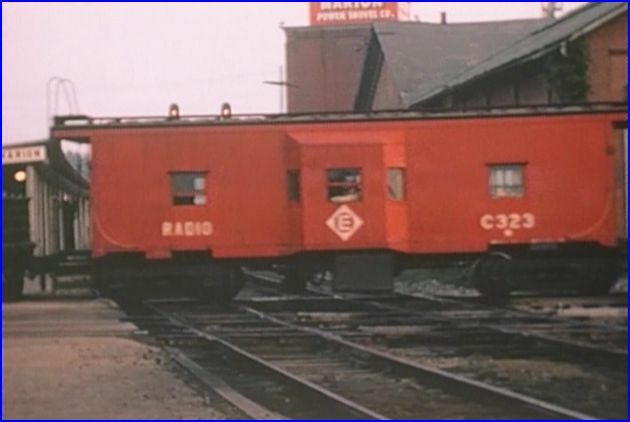 Emery recorded lineside structures, as well as the railroad equipment. There is one feature that is both; time-consuming and overdone. The Reading led steam fan trip runs for at least 40 minutes. The photography is fine. It runs so long, that it bogs down the EL story. I would have only needed 5 to 10 minutes – tops. 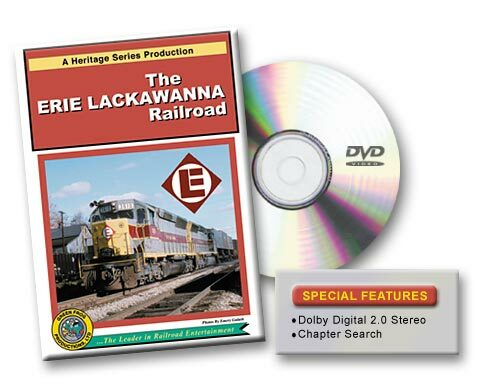 Tangents like this are getting off-topic; I purchased – Erie Lackawanna Railroad, not EL steam chase. These special events are not part of the daily operation. They should really be tacked on at the end of a program. A bonus extra. 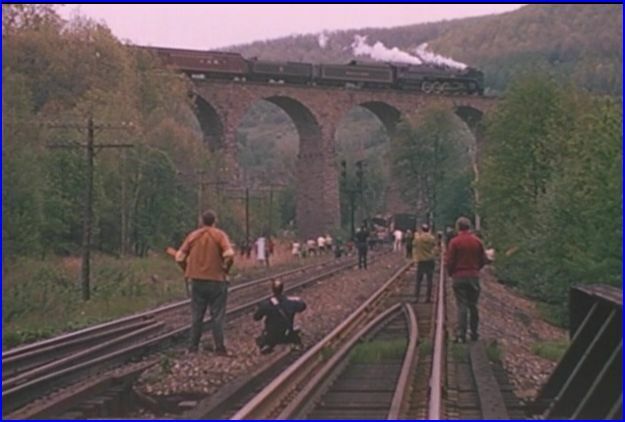 That way the viewer gets the railroad story, and can skip the steam specials. Fortunately, we return to EL action, and once again, it’s all good! 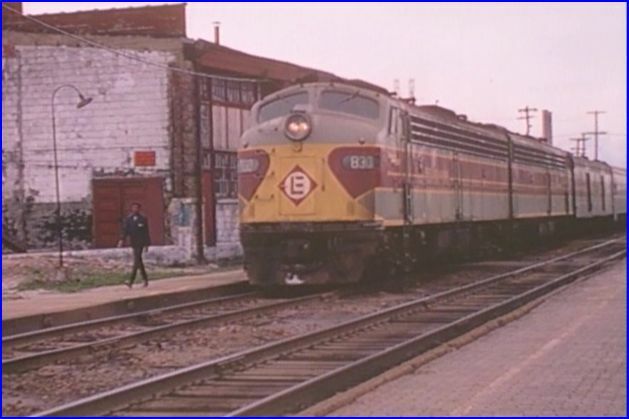 The ‘ EL story ‘ continues right into a Conrail formation in 1976. This is another fine film as done by Emery Gulash in 16mm all color. The DVD has digitally mastered sound, it sounds excellent. The narration is very well done. Erie Lackawanna really put on a great show. The interesting locomotives, unique paint scheme and some great scenery make a fine show. The chronological progress is good. The very long steam chase is my only disappointment. 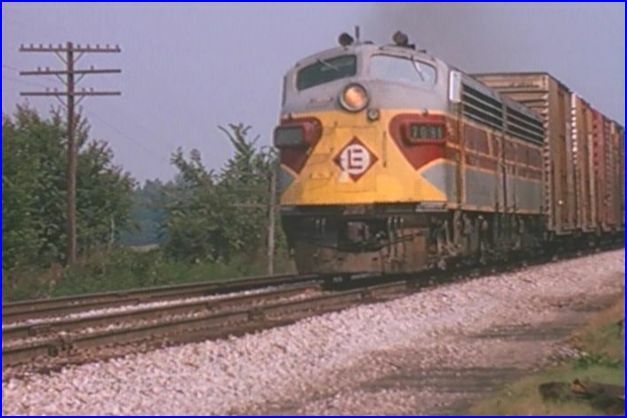 Outside of that, it is an excellent American train video. 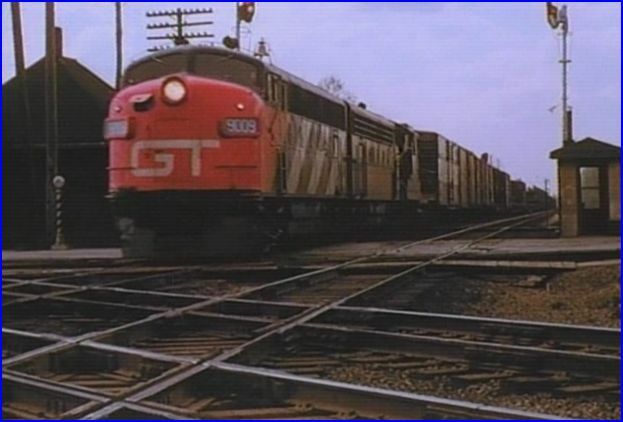 This entry was posted in ATVR Reviews, Green Frog Prod., Steam Train Reviews and tagged American Train Video Reviews, C&O, Conrail, Emery Gulash, Erie Lackawanna, Grand Trunk, New York Central, Penn Central, Pennsylvania, Railroad, Train DVD, train video reviews, transportation by William J. Hudson. Bookmark the permalink.